When back surgery is performed, the patient expects to have their problems corrected. Following surgery and adequate recovery time, the patient hopes to be healed from pain. This is not always the case. Failed back surgery is a syndrome that displays continued pain in the back and/or legs following surgery. There are a number of reasons continued pain may occur, but the symptoms are consistent with chronic pain in the low back, numbness down the leg and burning pain. Some patients describe the symptoms as “pins and needle-like” in nature. 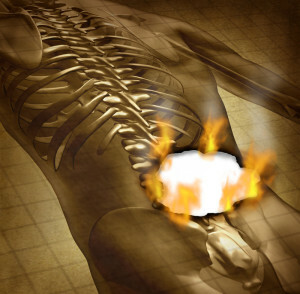 Chronic back pain sufferers may receive relief if they follow a few conservative options. Here are 5 ways to achieve pain relief failed back surgery. 1. See a pain specialist for diagnosis of what exactly is going on. You have chronic pain that occurs post-surgery? See an Arizona workers comp pain specialist to properly diagnose the condition. Your doctor will record your symptoms and gather information leading up to your surgery. If a fusion was conducted, your doctor may order x-rays or a CT scan to see if the hardware is broken or putting stress on areas it should not. It may be that you have adjacent level degeneration and require treatment to try and avoid further surgery. Pain relief is available when you follow your Arizona work comp doctor’s orders. Your pain specialist will design a pain relief treatment plan that most likely consists of over-the-counter medications and anti-inflammatories to start. If experiencing acute pain, narcotic prescription meds may be provided. Your doctor will establish an acceptable baseline level if long-term use is needed to relieve pain. If physical therapy is recommended, you should attend all therapy appointments. These sessions are set up to help relief long-term pain and keep symptoms at a minimum. Strength training and stretching may be part of the therapy plan. You may be required to exercise at home in order to help improve strength and relieve pressure from the affected area. In most cases, more than one treatment is required to battle chronic back pain caused by failed back surgery. It is important to follow the treatment plan your pain specialist recommends. The treatment plan may consist of medications, physical therapy, or even interventional treatments such as trigger point injections, epidural injections, or medial branch blocks. As a last resort, your pain specialist may recommend spinal cord stimulation for failed back surgery problems. This method of treatment has shown good results. While the stimulators do not provide a cure, they help mask the pain and make the condition more bearable. The stimulator alters the manner in which the brain perceives signals of pain. The symptoms of pain are converted to a more tingling type of sensation rather than stabbing pain.